Are you a fan of Colorado and in particular of BAZ? 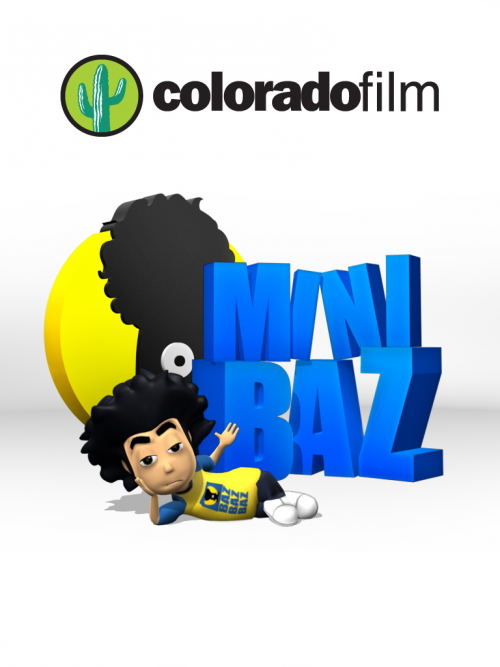 Now you can take care of your personal BAZ with miniBAZ! Have fun looking at the different and hilarious miniBAZ reactions when you move your device, touch its hands or touch the screen in various directions. Try not to pay attention to it (if you can) and you will see that it will make a number on you. For example, if you hold down the pocket and move your finger on the applications, you can access the different miniBAZ scenarios. If you are down and there is no one who can give you a hand call miniBAZ, it will always know how to entertain you or … annoy you! Are you a heavy sleeper? No problem, the BAZ Alarm Clock will get you out of bed! It is raining? It’s sunny? It’s snowing? 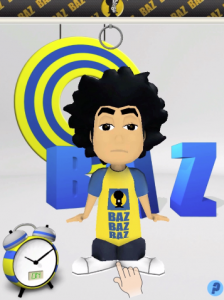 Find out without leaving home with BAZ Meteo! The ColonelBAZ will only need to know where you are and can advise you whether to wear a coat or costume! Do you sometimes hear a song on the radio and don’t remember or don’t know the title? With BAZ Zam your problems are solved! 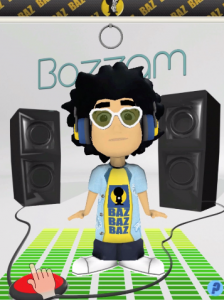 Launch BAZ Zam and bring your device closer to the speaker: just a few seconds of listening and BAZ will tell you the title and author of the song you like. Test BAZ Zam, it won’t disappoint you!